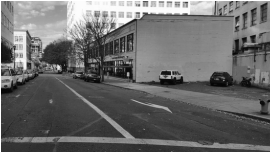 New Avenues for Youth was established in 1997 by local business and community leaders in response to the growing needs of homeless and at-risk youth in downtown Portland. The founders believed that every young person should have food, shelter, and access to education and job training and that the community must go beyond meeting those basic needs by offering programs that heal young lives and nurture growth and independence. "Our mission is to work in partnership with our community to prevent youth homelessness and provide homeless and at-risk young people with the resources and skills needed to lead healthy, productive lives." Since 1997, NAFY has impacted the lives of more than 20,000 individuals through a range of services that address basic needs and safety, provide opportunities for education and career and help youth achieve self-sufficiency. While NAFY offers a variety of services for youth, my role as a volunteer focuses on preparing and serving meals at the Drop-In Day Services Center. Outside of my service at NAFY I am pursuing academic research that explores the role NAFY staff members play in providing a safe place for youth to recreate their identities free from the stigmas placed on them by society. Although I am only preparing and serving food - a task that may be seen as relatively small in the big scheme of things - I think my consistent presence makes the difference. The academic work that I hope to complete in the near future aims to not only raise awareness regarding the often ignored homeless and at-risk youth demographic, but also to give this marginalized group a platform to voice their experiences and the impact of society’s stigmas on their individual identities. If my work does not always make a difference for the youth, I know it makes a difference for NAFY staff members who show up on a daily basis to perform a job that is exhausting and emotionally demanding. If I can make their job just a little bit easier so they can focus their attention on the youth, I do feel as though, in a small way, I am indirectly contributing to the youth.